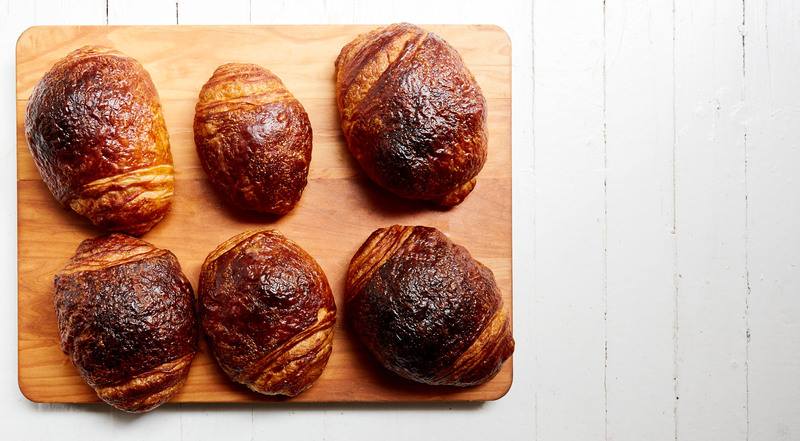 In Williamsburg, NYC’s hippest micro-bakery has just opened its doors. And if one thought that weekday and weekend waits were not possible after just two months of operation, one should reconsider. Bread and pastry fanatics from all over city have already stopped by, and Nick + Sons has been dubbed one of the best bakeries in NYC. Here, Nick Heavican continues his work from the infamous Icelandic bakery Braud & Co, and he nails the baking in a way that nobody else does. 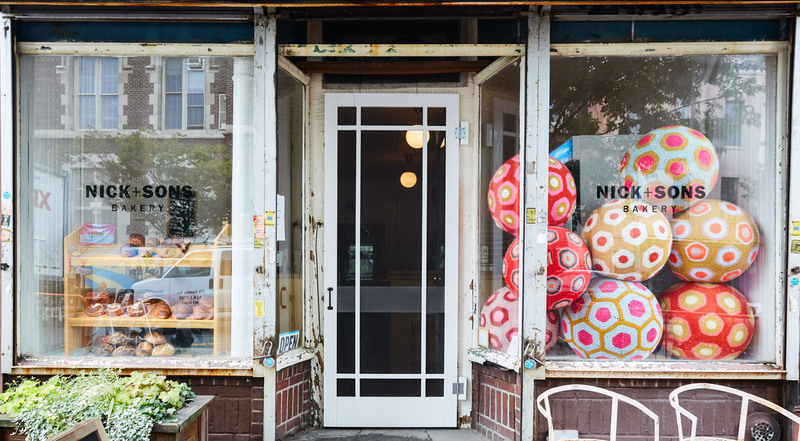 Pick whatever you like at Nick + Sons Bakery in Williamsburg. Every voucher has a value of $20. Purchase one or more vouchers. Enjoy handmade breads and pastries that are made on-site several times a day. 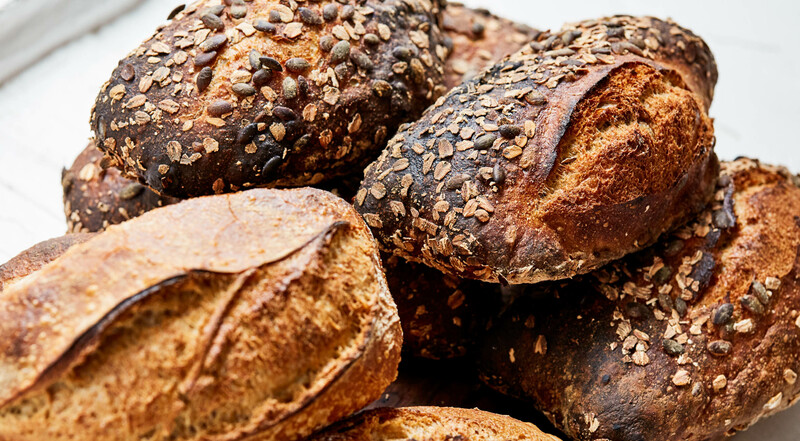 Get tasty seeded sourdough bread, French baguettes and brioche bread. 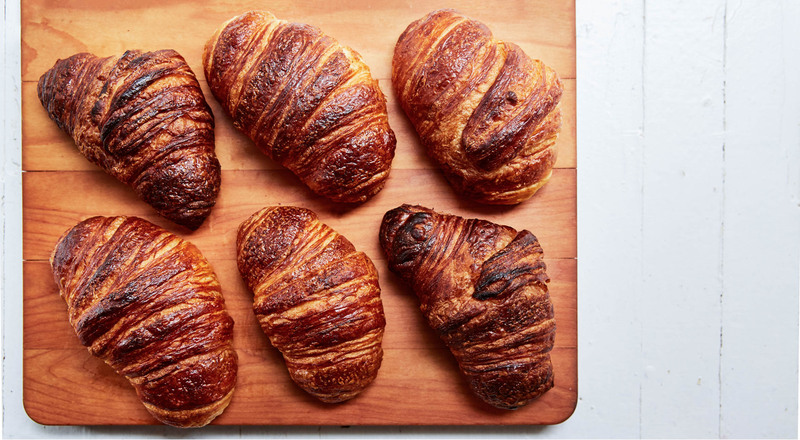 Buy regular, seasonal and chocolate croissants. Opt for delicious cinnamon rolls and scones. Pair your breads and pastries with freshly brewed coffee with beans from Toby’s Estate. Enjoy goodies and drinks on the bench in front of the micro-bakery or take it home. And watch out! 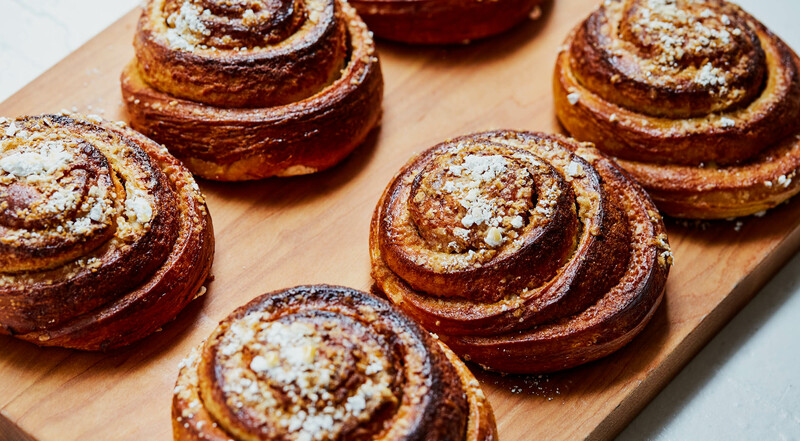 You might just become addicted to the baked goods from Nick + Sons. Best croissant I tried so far, and I tried a lot! The best chocolate croissant I have ever had! This place has the best croissants, cinnamon rolls and apple tarts in the city. 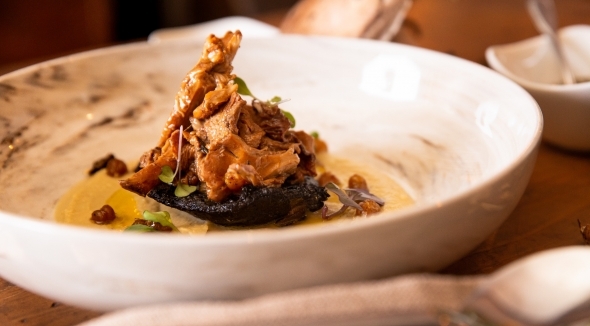 A definite must try in NYC! He went on a trip to Iceland and came back as a baker. A visit to Braud & Co changed everything for the entrepreneur Nick Heavican. The day after his visit at the bakery, he went back to ask for work, and he got it. 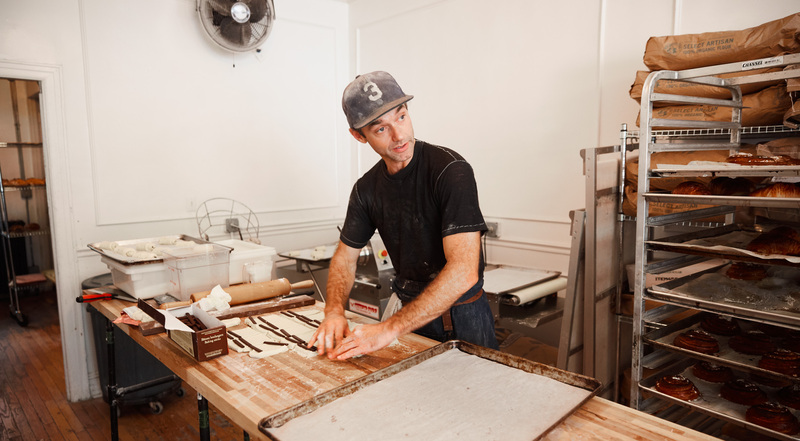 Months later in NYC, he baked during nights at closed pizzerias – and after years of preparation, Nick Heavican has now joined forces with Nick Brophy to open their very own micro-bakery. At Nick + Sons, the baked goods are in a league of its own. 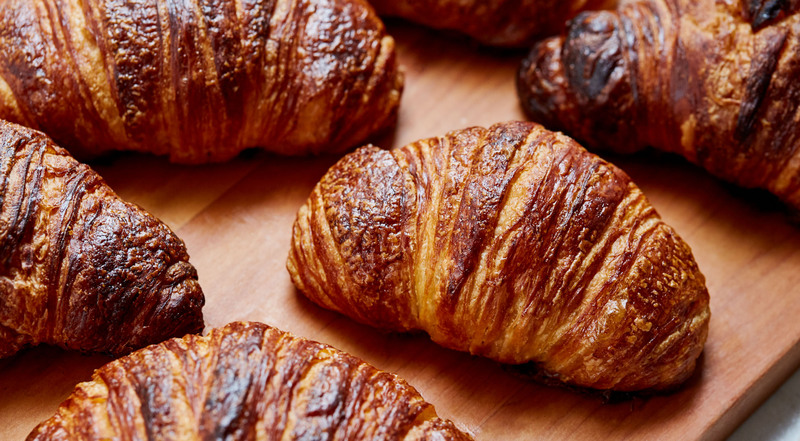 Their simple selection of bread and pastries challenges the traditional NYC bakeries with quality and freshness that is hard for anybody else to meet. And it’s inspiring to see the team’s passion for the handcraft, which has been developed through generations before them.